The goal of Durham Ballet Theatre is to create an artistic platform that is culturally inclusive while promoting artistry, development of technique, and dance in all its forms. We take pride in the fact that our company is very diverse; we cast solely from auditions that are open to the public. We strive to see more children and adults of diverse ethnic backgrounds and varied abilities find their way to performing with our company. Our company and its culture differ from others in our area in that we also welcome and encourage non-professional adults to perform in our productions and other venues. In addition, we also encourage children ages 5 and older to audition for our performances. Durham Ballet Theatre, formerly Legacy Repertory Company, was founded in April of 2009 with the mission of providing performance opportunities to budding artists in Durham and surrounding areas. 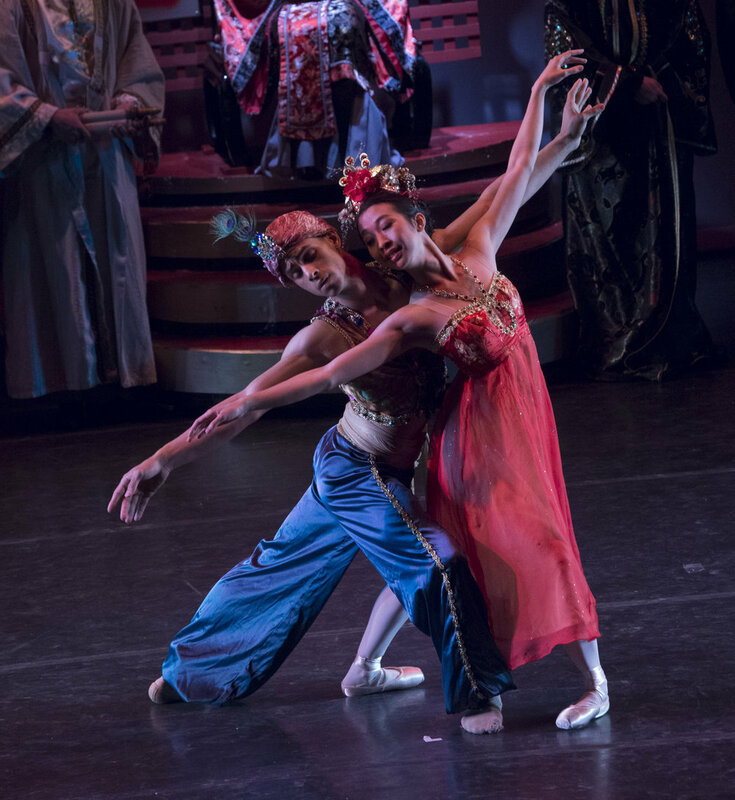 While built on a philosophy of purely classical technique, DBT also embraces elements of showmanship and stagecraft such as aerial & modern dance, costuming, stage management, set design and construction. These elements help prepare our pre-professionals for all aspects of a future dance career as well as entertaining audiences of several thousand patrons per year. Durham Ballet Theatre is interested in expanding our performances into our community on a consistent basis to afford all an opportunity to experience the beauty and healing power of the performing arts. Our vision is to be the best pre-professional performing arts company in Durham by providing exceptional training and performance opportunities in dance, aerial, theatre and voice for a socioeconomically, culturally and ethnically diverse group of performers and by promoting accessibility to the performing arts through outreach, education and free performances for underserved communities. We continue to offer our programs, at no charge, to those who would otherwise find it challenging to access the arts particularly via special performances, and will continue to have open auditions so that all members of the community regardless of abilities have the opportunity to perform with our company. Durham Ballet Theatre plans to continue growing as a pre-professional company with junior and senior ballet corps, competitive ballet corps, aerial corps and voice and theatre troupes. Our focus continues to be on providing performing opportunities for our company members as well as lectures, demonstrations and other educational opportunities for the public. In addition, we want to provide access to continuing and master-level training and support with preparation for entrance into a professional career in the performing arts.